This is a new Unreal Engine 4 game released today. Thanks, added it to the compatibility table. Hi, is there any chance to upload files (or client) from the Dauntless ? It's free to play, download it from their own website. Like Blenux said. It's free to play. Download link in the OP. Are you sure the static mesh is supported? Give me the problematic file, please. I've changed something for UE4.20 (Fortnite) StaticMesh today, and I see that you're using recent version, so I'd like to verify that my recent changes didn't break anything else. Thanks for looking into the issue ! Bit of a problem getting the file as I cannot extract the static files using program using UModel. 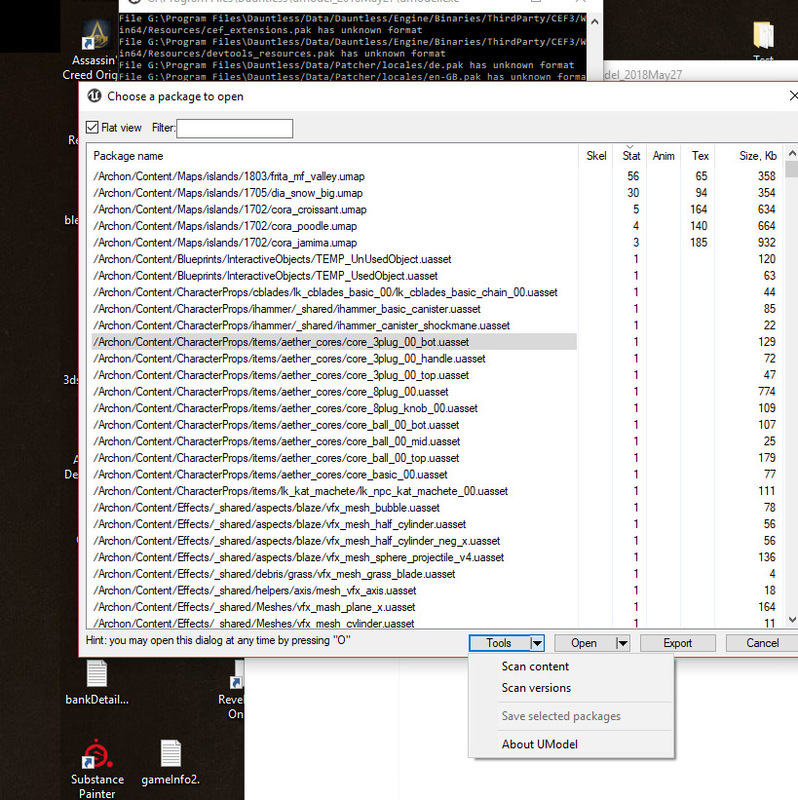 Tried opening the .pak files with a few programs no luck. Will check if I can get some QuickBMS scrit to open them. Any other way extracting files from .pak? Sorry, I didn't understand. Does UModel crash when you're trying to access StaticMesh, or you even can't get to mesh assets at all - it crashes before showing the package list dialog window? Update If you can see uasset list in umodel, then you can navigate to the problematic asset and use "Tools | Save packages", then send me files from "UmodelSaved" directory. Test with latest uModel 758, just did a check and uModel 751 couldn't save selected packages. Fixed "save packages" menu item, build 760. 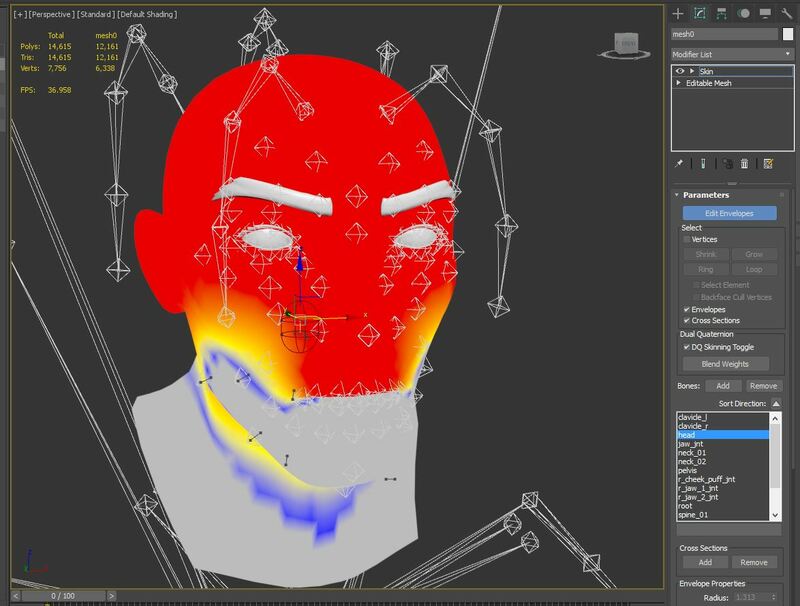 Face bones of the head (both male and female) do nothing when imported. Must be some kind of morph target generated mesh unless I'm missing something here. And yeah I used build 760 (Latest one). Fixed static mesh support in new UModel (build 761). You should select "Dauntless" from the game list. Static mesh support wasn't broken because of UE4.20 code, it has something custom inside.